Katharine Halpin, the Founder of The Halpin Companies and Co-Founder to an alliance of consulting firms who bring organizational-wide alignment to organizations of all sizes across the Globe joins Enterprise Radio. What exactly do you mean by organizational-wide alignment? You emphasized the ‘keeping’ everyone on the same page. Is that difficult? Why is this so important? Can’t we just post our vision and values on posters in the lobby? Since our economy is hurting and every company needs their people to bring more to their job, please share more about how leaders might build this emotional resonance? So that’s the Why and the What. Is there anything else a leader needs to share? The Halpin Companies’ clients then have a stable foundation to achieve repeatable and forecast-able results to ensure the entire organization is keeping pace with the CEO’s strategy. 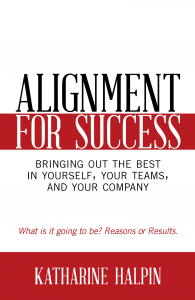 Katharine is the author of the highly-acclaimed book, Alignment for Success: Bringing Out the Best in Yourself, Your Teams and Your Company, published in December 2014 by Vollor Guenther Publishers. Katharine has been in interviewed by or featured in The Wall Street Journal, Fortune Magazine, The Financial Times of London, FastCompany.com, Inc.com, The Journal of Accountancy, and a variety of regional and local media outlets. All of her media can be found on her website at www.HalpinCompany.com. 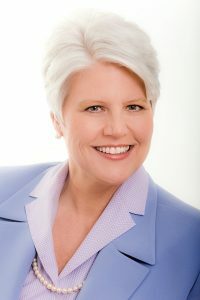 Since 1985, Katharine has served continuously as a member of various not-for-profit and professional association boards including the global board of the International Coach Federation (1998-2000), Arizona Society of CPAs (2000-2004), Arizona Chapter of the National Speakers Association (2012-2014) and Arizona Business Leadership, Inc. (2002-2005). She is currently a member of Charter 100 of Phoenix, the International Coach Federation, the National Speakers Association and the American Institute of CPAs.